Located at 5340 mt and tucked on the Khumbu glacier, Everest Base Camp becomes a buzzy small village for about two months twice a year (spring and fall). simple overnight stops, others trading hubs (like Namche Bazaar, where even traders from Tibet come to buy and sell fabrics, utensils and meat). 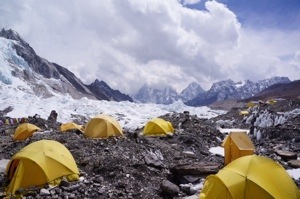 shows spots of yellow, red, blue,… this is Base Camp with its individual teams’ camps -The official count indicates that there are about 380 climbers, 34 teams and over 500 members of the assisting crew. culminate, and so different stories, motivations, lives intersect is mesmerizing. But this year the atmosphere is different. While on on our way To Base Camp, our Sridar (= lead Sherpa) receives the information that at about 6am a massive avalanche has stricken just above camp1. operations are almost immediate but don’t prevent the tragic epilogue. the accident, and the silent sadness that pervades the random alleys is sometimes interrupted by the sound of helicopters supporting the rescue operations. 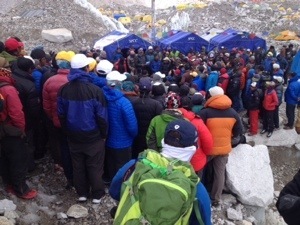 The Base camp community, Sherpas and climbers (accepting such definitions), are very close in these very sad moments, and numerous manifestations of solidarity and support emerge. However, as the hours and the days go by, a divide seems to grow and the Sherpa community progressively shuts down to the external world, especially for the more intimate thoughts and emotions – with rare exceptions, the Nepali people are very reserved end introvert. 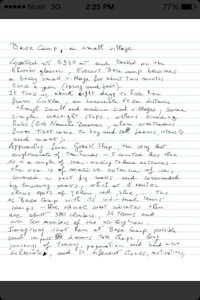 The magnitude of such tragedy has profoundly shaken the Sherpa community and, while it has been an unforeseeable accident and for pure luck no climbers have been involved, the question the Sherpas are asking is: why do we have to the greater risks, while the protection we receive and the compensation we receive are relatively low? leadership to the government and the climbing agencies in order to address the gaps currently existing. the ongoing discussion recently escalated to the threat by the Sherpa leadership to pull out of the Everest expedition season. the next days will be critical to determine the direction of the current season but also how future ones will shape up. 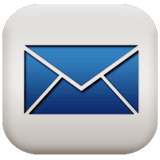 the Sherpas have been very compact and very firm in putting their request forward – their resistance and opposition to a sense of exploitation, whether by the government or the international agencies is growing and hopefully will be addressed.